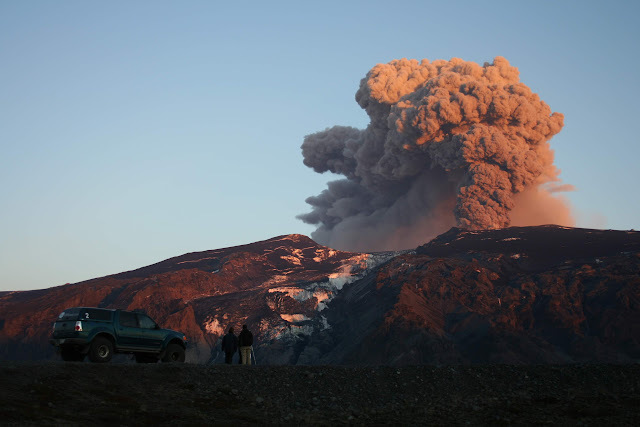 ﻿Back in 2010 I was lucky (or unlucky) enough to find myself in Iceland while Eyjafjallajökull volcano was erupting. This ash cloud from this volcano caused huge disruptions in air traffic all across Europe and became famous for its unpronounceable name. While my travel plans weren't disrupted to the same extent as countless others, my flight was changed to get around the ash cloud. What was supposed to be a direct Boston - Reykjavik flight ended up being a Boston to Glasgow, Scotland and then on to Akureyri, a small town in northern Iceland. Once in Akureyi I had to take a bus halfway across the country to Reykjavik. Not the most direct route, but i did get to see some beautiful scenery from the bus window.